Les: Welcome, everyone, to our next roundtable discussion! This will be our fourth thematic roundtable, following up on our discussions of spooky shows, detective shows and space operas. Once again, we’re discussing one of television’s most storied genres, entering the cloak-and-dagger world of secret agent television. 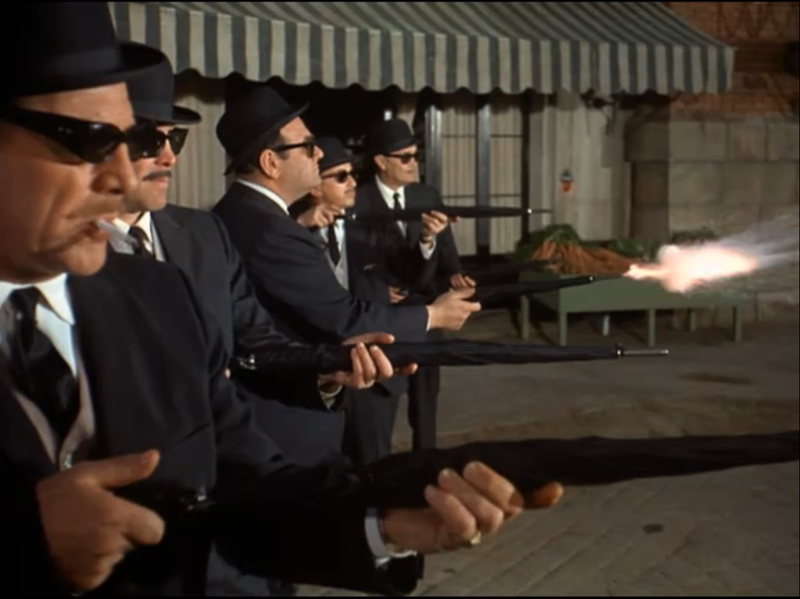 Spies and their exploits have been part of TV history for much of the medium’s existence, as the success of the James Bond franchise led to multiple attempts to cash in on the genre’s popularity, producing a multitude of agencies devoted to thwarting the spread of evil across the globe with all manner of gadgets and disarmingly handsome agents. In recent years it’s also been the genre producing some of television’s best dramas, with AMC’s Rubicon, Showtime’s Homeland, and FX’s The Americans all garnering devoted fanbases and critical acclaim. As with our space opera discussions, the hope is to see how the genre has evolved over the years, and to get a glimpse of the balance between the innate seriousness of the concept and the often light-hearted attitude that comes when guns and radios are placed in virtually any household item. First up, The Man From U.N.C.L.E., a show that frequently moved between both of those poles in its four seasons. Originally conceived by Norman Felton as a show with Hitchcock overtones and a theme of innocent bystanders being caught up in events of international importance, the show moved into being a more overt parody of the genre before reverting back to serious storytelling in the fourth season, after which it was swiftly canceled. Even a cursory glance through the episode descriptions indicates the show wanted it both ways, with plots involving kidnapping and nuclear tensions offset by ones that involved radioactive bats, hiccup gas and a dancing gorilla. Compared to all of that though, “The King of Diamonds Affair” is a relatively straightforward hour of television. The plot has shades of Goldfinger as a group of criminals are plotting to destabilize the world diamond market, stealing the diamond reserves of a major conglomerate and smuggling them out of the country in tins of pudding. Our heroes Napoleon Solo (Robert Vaughn) and Illya Kuryakin (David McCallum) take the White Collar approach to solving the problem and consult with master thief Rafael Delgado (Ricardo Montalban) for advice on how to catch the criminals, an approach hurt by the fact that Delgado was the mastermind of the heist. What follows is a series of events that sees our heroes shot at by a barrage of umbrellas and caught in a car chase through the streets of London, shipped to Brazil and strapped to cannons, culminating with a raid on a fort and a tragic death. And… that’s about it. To be honest, I was somewhat underwhelmed by “The King of Diamonds Affair,” as it wasn’t quite serious enough or campy enough to really capture my attention. I didn’t think it was bad per se, and it did have some solid performances—both Vaughn and McCallum made for convincing spies, and Montalban was clearly having a blast chewing scenery as the flamboyant Delgado. Plus, everyone knows that I have a weakness for hats, and so the fact that the entire criminal organization known as “The Family” was sporting bowler hats to match their submachine umbrellas cheered me up for style points. One thing I did find interesting was the episode’s lack of political context. This is a show that takes place at the height of the Cold War, but its central partnership of Solo and Kuryakin is the partnership of an American spy and a Russian spy. I don’t think we had enough time between the two to really get the vibe of their working relationship, as the two were separated so Solo could put the moves on Victoria Pogue and Kuryakin could fall in the garbage and then come to his partner’s rescue, but the scenes we did get had no hint of tension, only a mutual respect for and loyalty to each other. Either the threats of such international organizations like THRUSH (not featured prominently here but what I gather is the show’s equivalent of SPECTRE) are so great that they transcend politics, or the show simply wasn’t interested in being set in a political context. So, not the most thrilling start to the roundtable, but interesting in its own way. What’d the rest of you think? Noel: It’s a decidedly staid affair, apart from Montalban’s performance, I agree. There’s very little energy propelling the episode forward, and I think it’s telling that there’s so much focus on Delgado’s interactions with The Family and Blodgett. That mismatched pair of criminals offers up the small joys in their respective approaches to crime and murder (I enjoyed Blodgett’s understanding that it is almost always best to shoot you captives now as opposed to ridiculous death traps: “Dawn? Must we get up that early?”). McCallum likewise offers up a few delights with his dry delivery of quick one-liners. I suppose you could think he’s underplaying, especially in his refusal to even ham it up in that ridiculous outfit in Brazil, but I found it refreshing that no one even commented on how absurd he looked. Brazil probably is the best part of the episode, though. Edwin Blum (co-writer of Stalag 17 with Billy Wilder) and Leo Townsend’s script has for some nice touches, like the recording of the cavalry to distract The Family and Blodgett’s torn clothes after barely surviving the cannon blast. Joseph Sargent’s directing (and he’s still very active, directing a number of TV movies) isn’t very remarkable, but it gets the job done, which is all you’d really want anyway. Heather: I had never seen an episode of The Man from U.N.C.L.E. before this and, sadly, “The King of Diamonds Affair” has ensured that I won’t watch another. I’ve seen my share of corny and kitsch spy shows. (Lord knows that Mission: Impossible has its ridiculous episodes, for instance.) But “The King of Diamonds Affair” wasn’t just a low-fi product of 1960s television; it was poorly written and painfully boring. I was a bit confused how Solo and Kuryakin actually became spies. They come off as ineffective dandies and slightly thick. Delgado is the one to move the plot forward. And it’s not even that compelling or interesting of a plot. Solo and Kuryakin get outwitted time and again—from the car chase scene at the beginning to Kuryakin getting stranded (and shot) on the fire escape ladder to Solo being knocked out and dumped in a Pogue’s pudding box. I must admit I shouted at Solo on my screen when he turned his back to the shady pudding factory worker. What kind of spy does that? Being new to the show, I’m not sure whether this daft behavior is an aspect played for laughs, or simply a weakness within this specific episode. I was also annoyed at the fact that the only female character in this episode lacked any sort of strength or courage. She fainted, she swooned, she whined, she batted her eyelashes at Solo one too many times. Sigh. The Family was rather amusing. 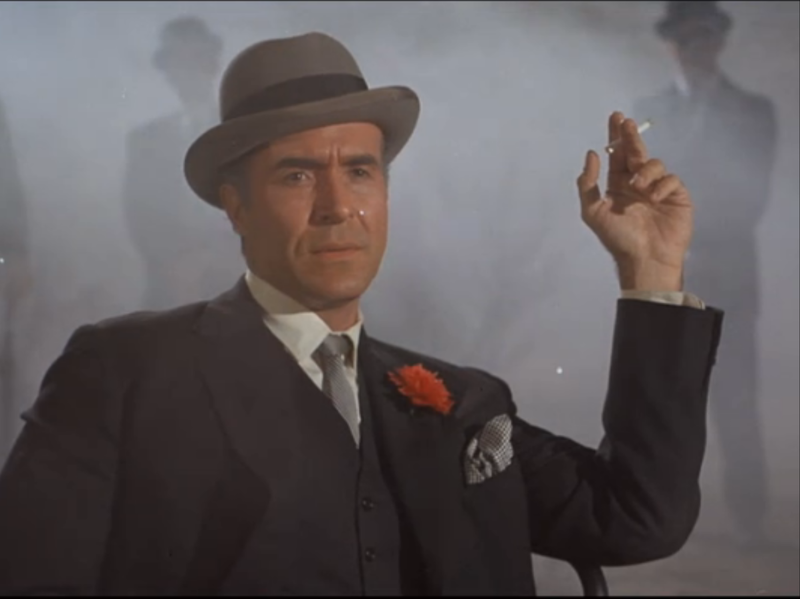 I started a drinking game for the number of times Larry D. Mann (Blodgett) unintentionally changed his accent: East London, American, Australian. I know he was going for the East London accent, famously associated with the Kray twins (and their organized crime racket) from the 60s, but by slipping in and out of the accent, the device became comical as opposed to threatening. Unfortunately, there wasn’t anything redeeming about this episode of The Man from U.N.C.L.E. for me. Okay, I take that back. There is was one piece of redemption. 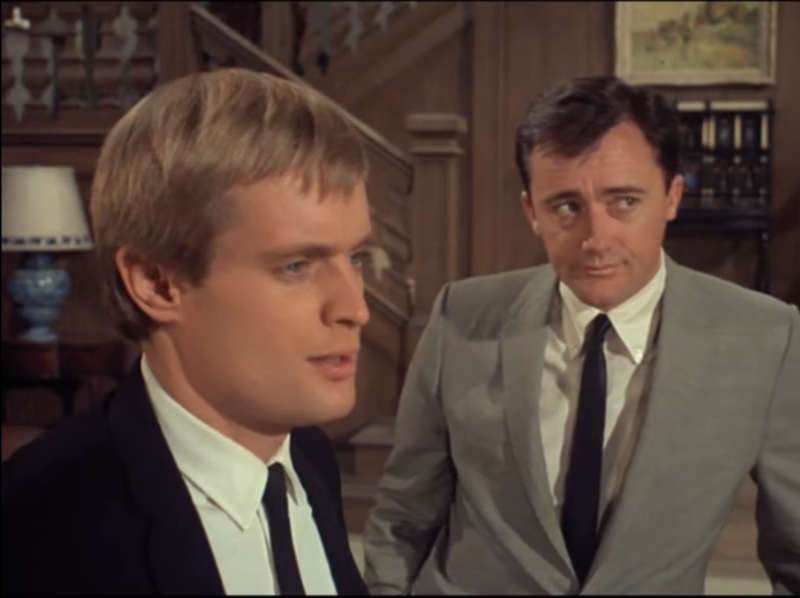 As soon as I saw David McCallum on screen, I gleefully thought ASHLEY-PITT! And immediately wanted to watch The Great Escape. 04/18: I Spy, “Magic Mirror” (season 2, episode 25); available through Hulu. 04/15: Get Smart, “Kisses for KAOS” and “All In The Mind” (season 1, episodes 17 and 20); available through YouTube. I’m not willing to write off the show because of one lousy episode, so if it became streaming for free, I’d likely check it out again, try and get a stronger sense of the program. Buuuuuuuut….not likely to pay $2 an episode to find out if I’d like it more, either. No, I wouldn’t pay $2 to watch U.N.C.L.E. either, but I don’t think this episode is lousy. It’s fairly typical (though I haven’t seen them all) of the series. I think you guys may be putting too much thought into it. First off, judging the show’s depiction of women is a fool’s errand; it was a different world then, and in any case, I still find Nancy Kovack in this episode more believable than the tough grrrls of today who weigh 98 pounds and routinely beat the asses of larger men. Sure, Buffy may be more aggressive, but she certainly isn’t any more realistic. By this point in the series, the leading men had already established good chemistry. I like the scene in which Kuryakin receives a neck massage from a comely U.N.C.L.E. agent while Solo looks on jealously. It’s funny, but what I like about it is something that is missing from today’s dramatic series, in that it enlivens the scene by giving the actors something to do while delivering exposition. If this same scene was played out in a drama today, it would be two guys sitting at a table talking to another old guy. Keep an eye out for this type of expository scene in older shows and newer shows, and you’ll start to notice the difference. However, back in the day, directors (and Sargent was one of the best in television) would routinely work out little bits of business to keep the viewers’ eyes occupied and/or to subtly establish character (and the bit of Illya uncaringly accepting the massage while Solo looks on longingly does both). It’s a masterful scene without being flashy, but was routine in good 60s/70s television and rarely done today. Also, Montalban is fantastic in this episode, which is reason enough to enjoy it. I liked Robert Drasnin’s score too. My main beef with U.N.C.L.E. is that it rarely got off the damn MGM lot and always looked cheap to me. Admittedly, MGM had a great backlot, but I longed for the show to open up a bit. M:I also spent too much time on the Paramount lot, but occasionally got onto the L.A. streets and was basically an indoor show anyway. Of course, I SPY is famous for its location shooting, though, IIRC, the brilliant “The Warlord” was filmed entirely in L.A.
Oh, Marty, I do enjoy when you stop by and say we’re putting too much thought into things or when you get annoyed at how people respond to how women are depicted, electing to write it off as “another world” or as you did with Columbo, “missing the point.” It’s still fair game for critique and reaction regardless of the time period. To wit: The scene you highlight with the massage is a good bit of visual business, no argument, but it also feeds into Heather’s point about women in this episode: They’re there to be damsels in distress or they’re there to support the guys, with little in the way of agency or that, hey, maybe they should be in the field, too. Well, you may as well copy and paste “I don’t like the way this show depicts women” into everything you write about these shows. It was a male-oriented world then, and our culture reflected it. Has gender balance improved since then? Of course, and that is fantastic. My opinion is that it’s generally a waste of time to criticize any art form–not just television–in a contemporary context. Yes, this episode is fair game for critique, but it should be done in comparison to other shows of its period. I don’t know if it’s streaming anywhere, but it’s on DVD, and that’s HONEY WEST, which cast Anne Francis as, well, not a spy exactly, more like a P.I. I suspect you guys would find HONEY WEST of great interest. Of course, M:I’s Cinnamon Carter was a progressive, sophisticated, smart woman, but she was also a supermodel whose job was often to vamp and distract the bad guys. And have female spies really progressed that much? Sure, Yvonne Strahovski on CHUCK got to shoot guns and (unbelievably) beat up the bad guys, but they also managed to squeeze her into a bikini or lingerie or a tiny black dress in most episodes. Is she more progressive than the female U.N.C.L.E. agent rubbing David McCallum’s neck? Sure, but at the end of the day, both women are eye candy. That Strahovski’s character was shown to be a capable, brave agent is significant and an important step, but she isn’t really as advanced as she seems at first glance. It wasn’t present in “The King of Diamonds Affair,” but part of U.N.C.L.E.’s format was, as you mentioned up top, its use of innocent bystanders. This was generally where the female guest stars were used, and they were often (I’m going by memory here, since I have only seen a few dozen episodes, despite owning the fantastic Time-Life complete DVD set) shown as capable and brave under duress. This episode is not an example of that, though Nancy Kovack’s character was not unusual to ’60s spy fiction. It may be a contemporary context to a degree, but the episode was from 1966, so second wave feminism was decidedly on the rise by this point, albeit not at a peak. It wasn’t like these sort of depictions were existing in a patriarchal vacuum without some degree of cultural conversation surrounding them, even if those conversations didn’t address them directly. And, yes, TV can move slowly to respond to changes in social mores, so I get that, but it’s hardly an ahistorical reaction here. And, no, I wouldn’t say that Strahovski on Chuck was at all a progressive shift. If anything, she’s sort of a have a cake and eat it too between offering up some decided agency, but normally wrapped up around a love plot, settling her into a cliche. And, yes, she was soaking wet for half the show’s runtime, and there wasn’t much in the way of beefcake to go with the show’s cheesecake. 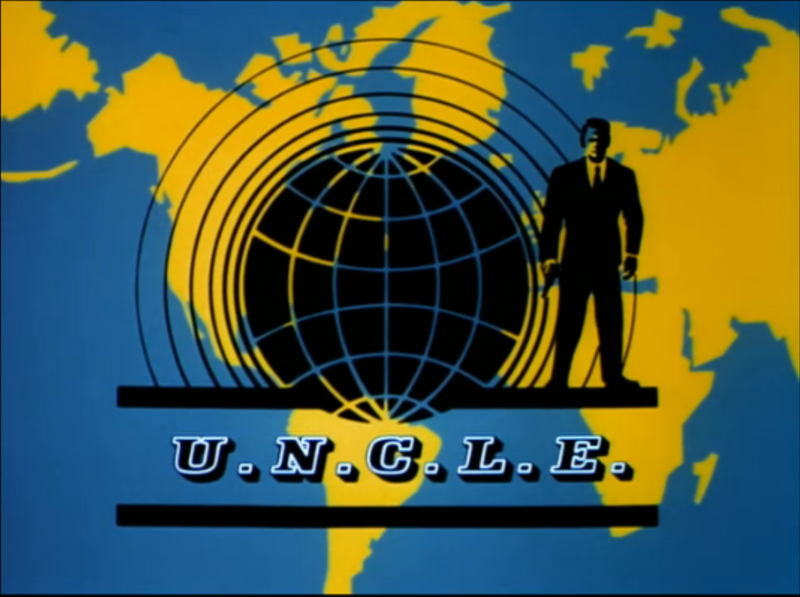 I don’t think that episode is representative of the Man from U.N.C.L.E. Most of the time the stories were well wrought, not “campy”. That’s the vibe I’ve gotten as well from reading other episode descriptions. In hindsight I wish we’d picked another episode, but they can’t all be winners. If you disallow the time period, then you really are missing the point of discussing a show that is nearly 50 years old. As far as women being depicted as mere damsels, a good portion of the THRUSH villains were, in fact, women. The fact that UNCLE’s female personnel wore guns and a pencil skirt merely nods to the James Bond influence, a result of the show’s premise having been augmented by Fleming himself. The first season was groundbreaking television, and the irony of it being copied and then parodied is sadly part of the show’s demise as writers and directors yielded to campy, Batman type extremes that were becoming popular during that time. The original, black and white Season One episodes were exemplary, something that was rewarded with several Golden Globe and Emmy nominations. I was a fan then, and remain so.